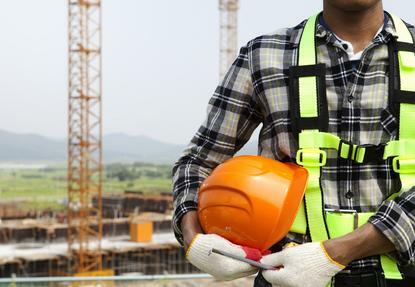 The workplace safety regulator went to market in 2015 to plug a gap in its management systems noted by the Auditor-General for case management and reporting functionality. In May of that year it signed up with Australia-based Noggin to provide the software, but issues emerged before the software was fully rolled out. WorkSafe told Parliament last March it had selected OCA from Noggin and implemented release one in March 2016 for its High Hazards Unit - a release two pilot was scheduled for deployment in November 2016. "Release 2 hit technical difficulties and was not delivered until 7 December 2016, too late for a 2016 deployment," the agency said. "The technical difficulties experienced have raised questions about the suitability of the product. "KPMG have been brought in to undertake performance testing and provide some independent assurance on its fit for purpose before continuing." The results of that review do not appear to have been positive: WorkSafe reported a $6.1 million impairment of its investment in the project in its 2017 annual report. "The impairment relates to the Awhina case management system, which cost $6.8 million but did not fully meet WorkSafe requirements," it reported. "Of the planned 300 users, 10 per cent of WorkSafe’s staff are now expected to use the system. Therefore an impairment for $6.1 million (being 90 per cent of the cost) was made and the remaining $0.7 million was capitalised." A further case management software tender appeared in August 2017. "The current business solutions are not integrated and require the operational teams to work with multiple systems, including excel spreadsheets, SharePoint forms and paper-based business processes," tender documents stated. "The objective is to get an integrated Case Management Solution that will replace the multiple systems currently in use by the operational teams. "It will be seen as the trusted source of information to support the comprehensive end to end business processes and a mobile workforce." What came out of that tender is unclear, however a report to Parliament dated May but released this week said a request for proposal for an enterprise case management system solution had been completed and a preferred technology and implementation partner selected. "Contracts are currently under negotiation," it said. WorkSafe was asked for comment earlier this week but nothing substantive has has been supplied to date. Noggin said it couldn't comment.